Carlotti G. & C. was established in 1956 in Budrio, a common of the metropolitan city of Bologna, as a workshop for repairing agricultural machinery. 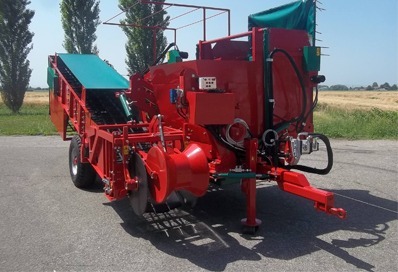 Today it is a leading company in Italy in the Production and Sale of Manual and Automatic Machines for digging and harvesting potatoes and onions. Over time, the sales network has expanded throughout Italy and in many foreign Countries. The experience gained by Carlotti G. & C. has refined the sensitivity and ability to respond to the needs of the market, paying constant attention to safeguarding the integrity of the harvested product. produces several models of machines for potato digging, harvesting and seeding. 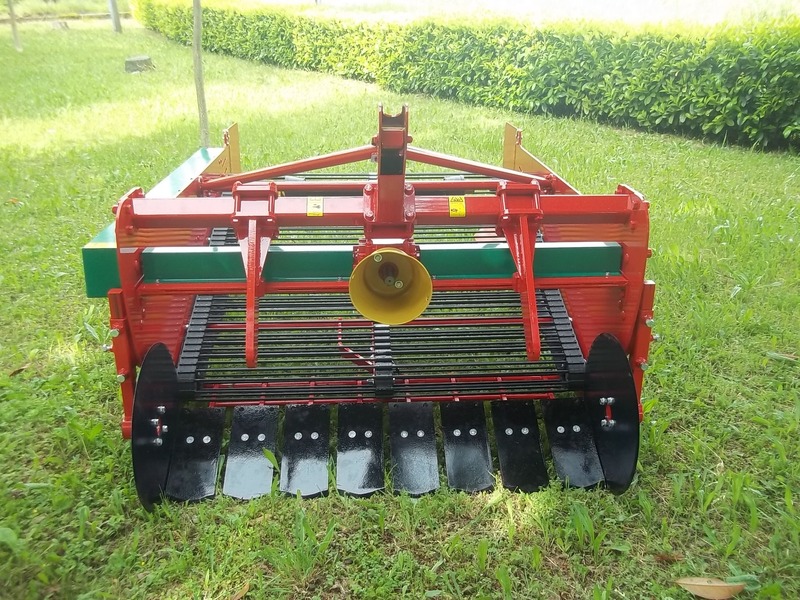 Specifically, automatic and semi-automatic potato digger-harvesters, potato diggers, potato planters and warehouse machines. Potato machines are extremely reliable for the quality of the materials and the robustness of the structure. The onion digger designed by Carlotti G. &. C. is the ZMC, available in 4 models. It aims to dig several rows of onions and unload the product at the back , in a central windrow. The machine is connected to the three-point hitch of the tractor and does not require operators, but only the tractor driver. Carlotti G. & C. also deals with the sale of used automatic machines. All machines are kept in perfect condition. Every used agricultural machine is tested and checked by experienced technicians to ensure that customers purchase an efficient and quality product. From a small workshop to an important industrial reality. It is the story of Carlotti G. & C., now also known abroad. The company founded by Giulio Carlotti in 1956 initially deals with the construction of wire netting, fences and gates, then the construction of light ladders for fruit harvesting, bale loaders and fertilizer spreaders. The first potato digger is designed and created in 1965, the RAPID 1 model. Potato and onion growing techniques are developing more and more, the demands of agricultural workers grow and require a mechanization that does not cause crop damage, reduces fatigue and increases daily production. 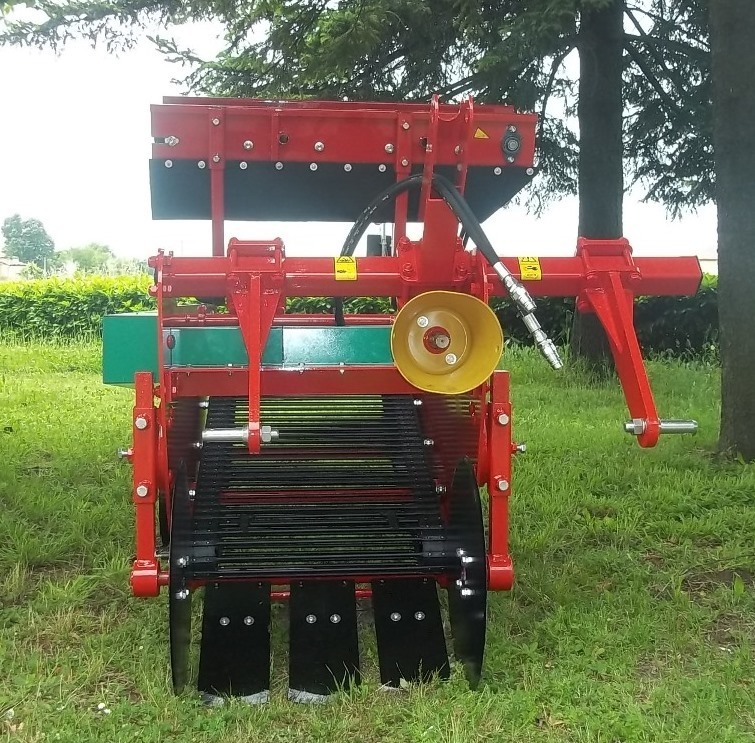 So Giulio Carlotti, a blacksmith and contractor, builds the first semi-automatic potato digger-harvesters that make his company known throughout Italy. The company has always been distinguished by the attention paid to the most advanced technologies combined with the demands of the agricultural operators and the needs of the market, with particular attention to the collection of the product still tender. The Carlotti team consists of experts specializing in the production of Manual and Automatic Agricultural Machines for Potatoes and Onions and Warehouse Machines. The Company of Bologna is competent and reliable. The manufactured machines are simple but robust and safe, modern and innovative.